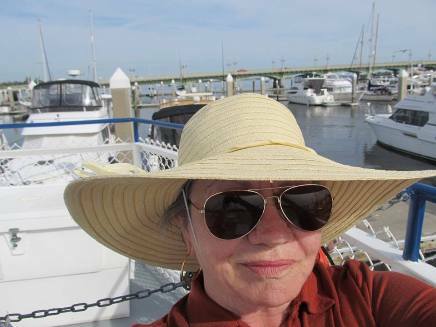 When I moved to the town of West Union, West Virginia, I came to know Fran as the enthusiastic force behind the town’s bustling annual celebration, and as a patron of poetry who has written much of her own: so lush and warm, charmingly formal. She’s extremely intelligent (a member of Mensa) and has a most interesting life that I look forward to sharing with readers alongside her literary achievements. I’ve had the privilege of having Fran for coffee—actual coffee in my home—and she has a most beautiful way of enjoying it, complete with a lesson. No sugar. Pour the cream slowly and watch it swirl around, enjoy the visual pattern, enjoy the textural uniqueness of those first few sips before the cream is fully incorporated. Let everything be as it will; let the moment create its own beauty especially for you. Furthermore, she dresses for coffee, complete with hats and fur collars, elegant and sparkling with personality! She relocated to be nearer to family, and we retain fond memories. I’m eager to share your story! Please, start at the beginning: whatever interests you. I understand your question about beginnings, but began with a deliberate beginning as it is difficult to pick organic ones out of life-circles. Sometimes I don’t recognize them until I can clearly see the ending. I was so Blessed to be born in America to the wonderful parents I had. My father taught me to read (using the Bible) and write before I was three. (Well – read; the writing didn’t go so well. I still have a deformed finger from gripping the pencil at that age.) When I started school I found a Truth: We were poor, and I was not like others. I loved school, I loved learning, I loved the world I was making, and I didn’t care that I was alien. I skipped two grades almost immediately and no longer had even my age in common with classmates. By now I had baby sisters and life was full. When I was 11, I found that this first Truth was only ½ a Truth, and that the worst lie is a partial truth. It was true that I was like no one else, but I had totally missed the big picture, the grand scheme. I met two people who taught me that each person is unique and glorious. My parents had taught me manners, which made me acceptable, Connie Volpitta (now Roberts) taught me social skills that made me accepted. Connie showed me that interaction with others expanded my world and made it happier. She also showed me the unhappiness of those who preferred interaction to the exclusion of their personal world. I began to notice the cliques in school. (Before, all of the ‘others’ were fairly interchangeable to me.) Tom Murphy was the first person to argue with me, my first love, and the reason I took the test for Mensa. (He was a member.) Sixty-six years later, I measure many milestones by these deep and abiding friendships. Tom married a lovely Swiss lady who became my 4th friend and I am honored to be Godmother to their son. My third friend was the wonderful man I married. We married when I was 17 and had 47 years before he died. My parents died young, and Bud helped me raise my youngest sister and brother. He was there for each of my ‘re-inventions’. I had a successful modeling and acting career for 10 years. I reveled in lines such as “She wondered why animals didn’t like her.” where emphasis can be changed to any word to change meaning or nuance. I could ‘feel’ an audience immediately and pivot my character on a dime (thank you, Connie). Oh, those delicious words! Shakespeare, Tennessee Williams, Edward Albee… One year, I decided I disliked the playbills that the theater provided. I redesigned them and drove to the printer with many suggestions on my purse notepad. Rather than taking offense, the owner of the printing company offered me a job as art director. I loved it and enjoyed that job for 5 years, until we decided to move. A series of fascinating and different careers later, Bud and I went to a wedding in WV. He was from the Catskills and immediately fell in love with the beauty there. We saw a Christmas card house high on a mountain (I could never call them hills) and drove up for a closer look. She was a grand old lady, but down on her luck and desperate for TLC. She boasted a leaky roof, plaster walls decorating the floor, lathing rippled as though it had been in a train wreck and an incredibly low price. The view of the Town spilling down to the creek was worth the price. Bud figured that if he did the work, the price to make it livable would be twice the purchase price – so, I put it on my charge card. It had never occurred to me that the price was so low because there were no jobs there. It was Appalachia. Every place I’ve lived has been beautiful. From Florida to Washington DC to South Carolina, I’ve found such beauty – but West Virginia is a different kind of beauty. This beauty has grandeur. Each place I’ve lived has had mystery, but the mists on the mountains, which linger in the hollows, conjure such primal enchantments. Like the words ‘on the tip of your tongue’, there is an elusive familiarity to these mists. I had to find a job that I could take with me, and do it within 2 months. So, for the last great career change, I decided on the Internet. I bought a computer and researched the skills I would need. I called my niece, Tiffany Edmonds, and peppered her with questions. (Tiff was a Microsoft MVP – worldwide at that time, there were only 5 women with that honor. See the charmed life I’ve had?) By the time we moved, I was established in Search Engine Optimization. (I had looked for a fast-moving field where I would not be in competition with 17 year old gurus LOL) It took a few more months before earnings grew enough to live on, but one wonderful side-effect of poverty is that once you have been poor, being broke does not frighten you. From childhood, and through all this, I’ve written. I’ve always written with feeling, sometimes with humor, sometimes with craftsmanship, and twice with skill. Life is so fascinating. I just finished a wonderful online course on C.S. Lewis. I’ve a new quilt top almost finished. I’d just narrowed my archaeology interests to Biblical archaeology when exciting new technology advancements led to the discovery of several ancient Incan cities in the Peruvian jungle . Did you know that just in WV there is an ancient petroglyph, carbon-dated to circa 2030 years ago? There is a notch in the rock that allows light to hit the carvings at dawn on the Winter Solstice. Others are documented, but this is one I visited. And, I do not understand strawberries. For thousands of years they have insisted on having their seeds outside on their skin. Each year, when they realize they have no new strawberry children – again – they are forced to send out those inefficient shoots in the hopes they will root and begin new plants. What a breath of fresh air you are! As long as I’ve known you, on another note, your spiritual perception is illuminating. ‘Sea of humanity’ seemed to be in all that I read at one point. Suddenly, I saw it – we are each an iceberg. We see the 1/10th of each other that is above water and we all are so different, but beneath the water, we are melting and freezing and exchanging the ‘oneness’. Is that why we write? To remember Truth? Do we actually forget truth? Is it absorbed into us? When we hear or read Truth, isn’t it more a recognition than a new thought? Is what we call ‘conscience’ a Truth-ometer? A feast for thought; thank you so much! Tell us also about your literary background. I love literature because it has so many words! LOL Early memories were jeweled with my grandfather’s playing the violin (mostly Liszt) or reciting ‘The Song of Hiawatha’ – there is something so drone-y, yet majestic about this poem that it feels ritualistic “By the shores of Gitche Gumee, By the shining Big-Sea-Water, Stood the wigwam of Nokomis, Daughter of the Moon, Nokomis, Dark behind it rose the forest.” That repetitive, unnatural stress on the first syllable evokes drumbeats in my chest. I mourned for the ‘unremembered ages’, too young to realize that they might not have been so romantic and mystical if they had been remembered. He read and saved history books, which I was allowed to read, and read and passed on Mickey Spillanes, which I could sometimes sneak. This was my mother’s father; her raucous Irish-Catholic family did not care for my father but it was not quite as obvious as my father’s blue-blooded, Carolina Bible-belt, Scot family’s dislike for my mother. Daddy had an incredible memory and a perfect ear for music. He could hear a song he liked in the morning, and play it back that evening on his harmonica. He knew much of Longfellow and all of Service’s poems. This is another great blessing I had – to be born before TV. My parents talked and laughed and argued and performed. You asked about my spiritual background. It’s just as well, as I can’t separate any part of my journey with precision. I was premature and a ‘failure-to-thrive’ baby. Momma’s family were Roman Catholic and arranged an immediate baptism for me. They got a special dispensation for her youngest brother to be my Godfather as he was only 11 yrs old. Her sister was my Godmother. That was probably the last time I saw a Catholic church until I was 10. My father was raised Carolina Methodist. We moved to Florida to be away from both families and began an odyssey. Dad taught me to read with the Bible (KJV – such soaring words for lofty thoughts). He could quote extensively from the Bible and made me memorize the book of John. We attended church every Sunday, but not the same one. Afterwards, we would discuss the sermon – questioning its Biblical Truth. If they passed his test, we might go back. His plan was for each of us to be able to choose our church at age 13. Any church except the Catholic church as he scorned the money spent on stained glass and other adornments, and felt that veneration of saints and the statues of them crossed the line into idolatry. Summers were exciting. There would be a huge tent erected on the Fairgrounds and posters began appearing for the tent revival. I loved the fiery sermons with that strange cadence, loud-and-soft, dip-and-climb, that reminded me of classical music. And, oh, the singing! I know most think of Mahalia Jackson when Gospel music is mentioned, but the only singer who even came close to that musical experience for me was Elvis! Dad died when I was 10. I ‘inherited’ his books – Plato, Socrates, Cotton Patch Parables, and Chilton’s manuals – and read them voraciously. They gave me comfort as Momma knew they would. I discovered mythology and was overwhelmed with the Truth I found there – especially in Greek and Celtic myths. The truly great ones have that strange herbal taste of buried-memory. Age 11, someone had a list of books that were banned by the Catholic church; reading them became my next project. Most were lackluster, but The Prince, by Macchiavelli, was an eye-opener and mind-expander. Connie and I had many conversations about individual manipulation. I had seen mob control, but it appeared a different type of rhetoric and manner was necessary here. The Godfather (my Uncle Charlie) gave me a subscription to Astounding for Christmas. Edited by the wonderful John W. Campbell, who discovered and nurtured so many sci-fi greats, I fell in love with Asimov, Heinlein, Anthony, et al. At 88 now, and finally retired, my engineer Godfather has the largest collection of time-travel books and movies in Christendom. We have been studying, then exploring Civil War sites together for the last 2 years. There is only Shiloh to go! I am aware of my many faults (but am still finding shortcomings). I began reading theology and researching Christian (yes, I had already decided that Christianity made the most sense to me) religions. I decided on Catholicism – such a tour de force of logic and mysticism – and began studying for Confirmation. I read biographies of saints until I came to St Theresè, the little flower. This was the spiritual mentor I needed. Like a magpie, I flit from one shiny piece of knowledge to another; I had no internal discipline, and no logical goal. I had vague mega-plans to learn every language in the world, and then travel. St Theresè polished each moment in the now as she lived it. One tiny act at a time, created and maintained peace, joy, and beauty. 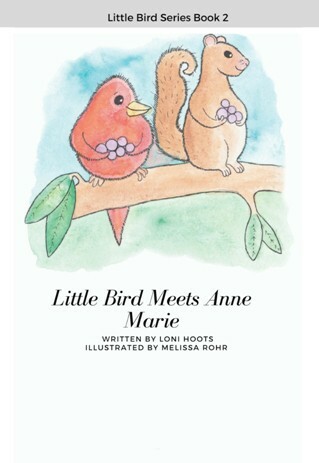 I sold my first short-story when I was 12, to a children’s magazine. My fervent wish is that there are no copies left in the world. LOL I mention this because it is a strange thing to sell my writing and after all this time, the strangeness remains. I’m never satisfied with the quality, as I am a much better editor than writer. I don’t, as a rule write for others. But if that is true, why do I so cherish that validation? At 15, I graduated high school (a wonderful school, the best instruction I’ve ever had), and entered the Sisters of St Joseph convent. This was a teaching order. It was an exciting, fulfilling experience. My first book, Golden, was about this year. We attended the U of Florida, and the classes whizzed by with Masses every morning and devotions and study in the evening. After a year, my mother picked me up. She had spoken to Mother Superior and they released my vows. Momma had terminal leukemia and I had four younger siblings that needed someone to care for them. Classes reminds me, Christina – I told you I just took a great class on C.S. Lewis. Many new things to think about, but did you know that the Psalms were written to be performed? That does explain those awkward lines about zithers and tambourines in the beginning of many that seem to have nothing to do with the rest of the subject matter. They are ‘stage directions’. Interesting! I had no idea, actually. A final question: If you were given the ultimate platform and a microphone that would broadcast your words around the world (and time is not of concern), what would you like to say? Christina, I know you said to take my time, but I had no idea that it would really take this long. I feel that this answer may be disappointing, as the question is so lighthearted and I’ve once again made it complicated. Your magical question made me laugh, and I immediately wrote “Hello everyone! I love you.” Then I began to question. And, I need to speak to an individual – the Divine spark in each is exciting, inspiring, and elevating. It is also more of a challenge than speaking to a large group. Groups are easier to address, and easier to influence, but it is distasteful to turn a group of lovely humans into a herd. The exceptions to this can only be made by the listener. If someone has tickets to a comedy or tragedy, they expect to be manipulated into laughter or tears. If someone attends church, they expect to leave with a reaffirmation of the moral life. See what your questions do to me? I have the same difficulty with writing! I’ve written many a polemic that was meant to change the world. When my writing gets ‘cold’ to me, I re-read and edit. Most did not survive that process. There was truth, or I would not have written it. But, I’m flawed, and the larger truths are more personal and less universal; it is not my place to impose them on others. Remembering St. Theresé, I re-direct to those small truths that I comprehend and share that understanding with others. My passion and my problem is language. There is such an exposed, naked feeling when I have written the un-embellished truth, that I wonder about language – I wonder how long mankind existed before we began speaking? If we communicated through telepathy, there would be no secrets. Maybe the actual purpose of language is lying or concealment. I’ve seen twins whose babbling was incomprehensible, but seemed to communicate perfectly with each other. New lovers almost all have ‘code words’ that elicit longing looks or peals of laughter between them that no one else in the room understands. Every career or hobby specialty develops its own vocabulary to such a degree that those who are not well-versed in that field are excluded from even simple shop-talk conversations. Your expression is endearing. 🙂 I understand and wonder the same about words. But I’ve loved knowing you through your words as much as your smile and the intelligent glint in your eyes. I do want to conclude with some of your poetry from Vignettes (Middle Island Press, 2015). There is no prouder race. Straight out to her face. On Gaels and Galls alike. I echo bards long dead. And slowly turns her head. I do just as I please. Where is the life they can pattern on? All of our Heroes look down. Trails to follow, made them men! Life for pioneers had meaning. Wagons rolled and trees were felled. And suits of gray and brown? Where is the life we can pattern on? (My choosing of the above was somewhat random as all of your poems are of equal excellence.) 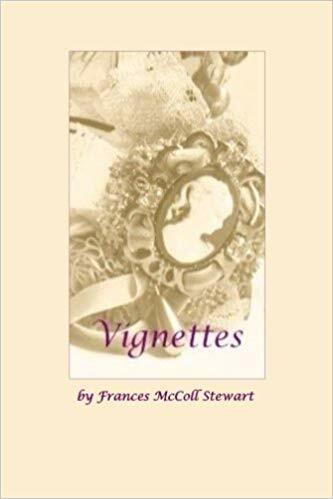 Vignettes is available at Amazon as well as several other books authored or co-authored by you. I hope that patrons of poetry will avail themselves, and thank you so much, Fran, for your picturesque and full-bodied articulation! Isn’t poetry the only way we explore? That grand vocabulary closet, sitting there in the dark holds so many hints to truth and bridges to those fantasies that are sometimes more true than reality? One last ‘word’. Christina – I spoke earlier of mob control. As it is affecting my country now, I would like to point out some words in the public forum. A good public discourse begins at the beginning – the base line where all agree. Then, one point at a time should be discussed until a consensus, or an agreement to disagree but go on, is met. Please be alert to that deliberate word-bias that assumes then skips these points. If this is allowed, then the argument has been won by language-cheating, or mob control skills. (I am not saying that the winner might not have won honestly; I am saying that the winner is not winning honestly if these tactics are employed.) How did a health insurance law become named The Healthcare Law? Have insurance and care become synonymous? We should think to ourselves how differently the gun-control argument might go if it were called the gun-rights argument. The abortion argument consumes us with what the government should or should not do. Shouldn’t we begin at the beginning of that discourse and ask why the government is involved at all? There are valid and important arguments to be had as neither right is absolute, and some (but not too much) government regulation is permissible. So why are we not having a great, logical debate instead of petty sound-bites meant to incite partisanship in a mob? We think in words. The essence of mob control is to destroy the precise nuance of meaning. Once that is lost, our thoughts become fuzzy and imprecise. When we make a decision to consider a problem or to not even consider it, we grow; and isn’t that decision more righteously human than to make a decision as to which pack to join? A background in marketing, freelance writing, and commercial art turned Ms. Stewart’s love of words, and understanding of their power, into a career. Now retired, she was known as an expert in the field of search engine optimization, with articles published in various newsletters and websites; Frances was co-author with Tiffany Edmonds of the popular Search Engines The Right Way (E-book). A member of Mensa’s WebHeads, her personal websites have garnered much recognition in different fields: N-etiquette.com is a primer on Internet Etiquette, and McColl-Name.com is a genealogical site. 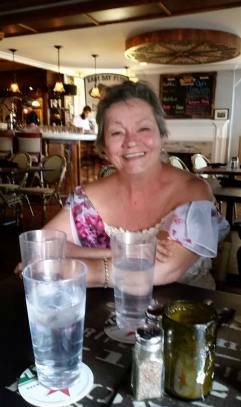 Frances lives in Courtland, VA with family. Life has not slowed down with retirement. She is currently working on a new quilt and a new book (Seadog: The Story of a Family). It was a quiet, overcast afternoon when I was pleasantly surprised with a copy of Quiet Insurrections by one of Colorado’s more talented poets: Daniel Klawitter. 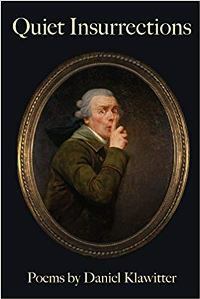 I am familiar with some of his earlier work (namely, Plato Poetica) and find Quiet Insurrections to be highly engaging, which every introspective poet loves! I hear myself in many of his thoughts; I can relate. Everything you feel I feel. the poem behind the poem. The book doesn’t lose steam as it progresses. I read it in one joyous sitting rather than the common two or three. Come, you soft-shelled poets filled with sea-water. Come and leak your speech on thirsty beaches! Come and sing the ocean’s primal power. Come and christen the living dictionary. Come and listen to the seas, the rivers, the lakes. Come and offer tribute to the tributary. Come and accompany the lute and the lyre. Come with your mask of shifting personas. Come with your kindling for the original fire. Come add your scent to the cauldron’s aroma. “Trying Not to Rhyme”…oh yes! I can relate. (Or so I’ve been told). 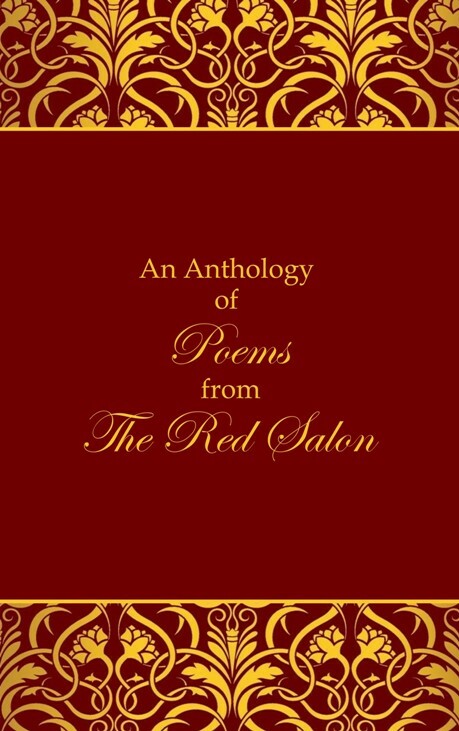 I’ll place this book beside Plato Poetica to further enrich our Red Salon with the best of living poets. Much enjoyed; thank you! 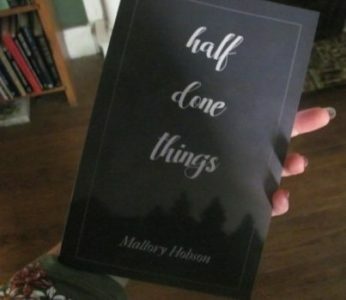 I just received this lovely perfect-bound chapbook titled Half Done Things (Both Ends Burning Press, 2018) with a handful each of stories and poems by Mallory Hobson: a talented young lady with a lively imagination, a sense of humor, and a unique perspective. In her stories, the reader becomes the protagonist amid quirky settings such as old phone booths and haint blue walls; wrestling with conundrums such as the validity of numeric synchronicity, whether or not to wear a wrist watch, and whether or not to drink while writing. The prose section concludes with the eeriness of “Audrey” and the realization that there is nothing tangible to explain the rapping at the bedroom window pane. All in all, Half Done Things is a pleasantly charming read, a voice of youth wielding a precocious pen aflame with imagery; succinct enough for a coffee break, and full-filling enough to enrich a reader’s day. Copies may be purchased directly from the author: youwerefine@yahoo.com, and I just got word that her poem “City Dweller” was nominated for “Best of the Net.” Read it here. Congrats!